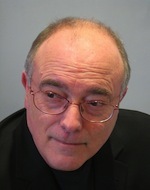 John Potter is the author of Vocal Authority: Singing Style and Ideology (2006) and the co-editor of The Cambridge Companion to Singing (2000). He has contributed articles to many academic journals and chapters to other books, including The Cambridge History of Medieval Music (forthcoming) and The Cambridge History of Musical Performance (2012). He is Reader Emeritus in Music at the University of York, having stepped down from his lectureship in 2010 to focus on his portfolio of freelance projects.